Explore exciting, European cities and write about your experiences to benefit future visitors. You’ll join one of our unique projects, which will give you the chance to combine travel with creative work experience. Living in a dynamic European city destination, your task will be to produce a professional quality City Travel Review Travel Guide about your new home, which can be used for future visitors to the area. Currently, we are looking for young people, aged 18-30, to carry out placements in Berlin and Edinburgh in March, April, June, July & August 2019. Placements vary in length – you can choose between three weeks, one month or two months. You will benefit from ample networking opportunities that could open up doors to longer term posts. Once you know which project date and location you would like to join, please send us your CV with a short covering letter briefly explaining why you would like to be a member of the team and when/where. Please note, if you are successful you will have to pay a project fee to cover your accommodation, airport pickups, language tuition lessons, workshops and project related activities. The number of posts are limited and the applications close once the final team member has been selected. This can be at any stage during the year, so it's best to send yours as soon as possible. You are a strong communicator, both written and verbally. The award-winning team helping aspiring writers and passionate travellers to broaden their creative work experience, as well as their cultural horizons. We organise 3-8 week placements in exciting European cities, during you will be supported to produce a professional online travel guide about the area. We also host workshops (including language classes in Berlin), taught by people who love their cities, to equip you with knowledge about your new home and the tools to develop your own skills beyond your placement. One of Europe's most dynamic, cosmopolitan and creative cities, Berlin is a vibrant, quirky city, filled with fashion, art, design, music and a relaxed attitude. No other city has been so dramatically split and reintegrated in such a short space of time. The eastern parts are now true centres of artistic and cultural activity. The city of storytellers and ghost tours, it's a wonderful place to live thanks to a calendar packed with events. A relatively small city, veined with a maze of wynds and cobbled streets, it’s delightful to walk around. 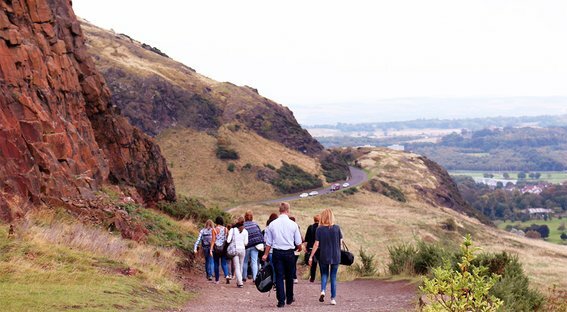 Plus, there is beautiful countryside, including Arthur's Seat, on its doorstep and the Highlands are only a short drive north. Our programmes are well organised, while also maintaining the thrill and excitement of doing something new. That's why we have been awarded 'Best for Educational Working Projects' for two years running in 2016 & 2017 by the AI Business Excellence Awards.